Mobility aids to help you gain independence both in and out of your home. Northern Mobility Services offer free, no obligation advice. Visit our showroom or book free home demonstration service on any of our products. 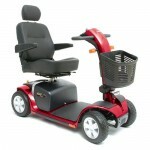 Welcome to Northern Mobility based in Pudsey, Leeds and specialising in Mobility Aids.